Much like the recent high profile departure of Josh Weathers from our music scene, tomorrow night Six Market Blvd says goodbye with a gig at their home base of City Limits in Stephenville. The band, known for its fresh energy and zestful live show is calling it quits so lead singer Clayton Landau can focus on other endeavours and callings. Landau will be pursuing other business ventures and pouring his musical talents into praise music. The rest of the band, Josh Serrato (lead guitar), Ben Hussey (bass/vocals) and Red Shahan (guitar/vocals) will forge ahead with a new project that finds Shahan in the lead role. This band has had a formidable five year run. 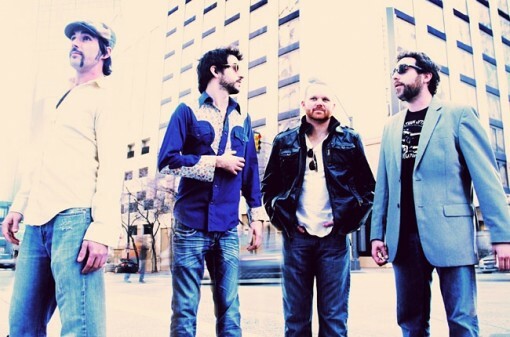 They rose quickly up the ladder of Texas Music through the power of their unique songwriting and a strong base in the Stephenville-Fort Worth areas rooted in their formation at Tarleton State University. They’ve been a friend and advocate to Galleywinter and we, along with everyone else that has been charmed by their music will miss them. Here’s to the good times and the music that will live on into perpetuity. Best of luck to all and we look forward to digging into the new music fronted by Shahan.